Modernism was a complex cultural and social phenomenon which marked the late 19th century and an early 20th century and is mostly characterized by the appearance of the great number of innovators in practically every field of human activity. One of them was French artist Jean Dubuffet (1901 – 1985). This extraordinary art figure came fully to prominence after the World War II, despite the fact that he tried to conduct a continued practise in the 1920s and 1930s. Nevertheless, during the war years, Jean Dubuffet devoted himself to painting and the crucial event which for his stylistic transformation was the exhibition of Jean Fautrier, one of the proponents of Taschism. That is how he embraced impasto technique which was then enhanced by the use of unconventional materials like mud, sand, pieces of glass, etc. 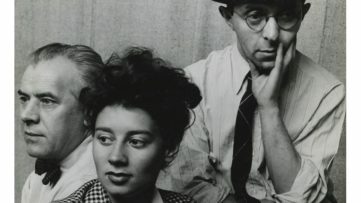 The French artistic circle to which Dubuffet belonged gathered artists such as Henri Michaux and Pierre Matisse, who was an art dealer responsible for Dubuffet’s success in America. 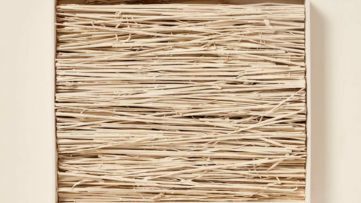 It is also important to mention that the artist was affiliated with the Surrealist movement and unusual society of various art and intellectual figures called the College of Pataphysique. 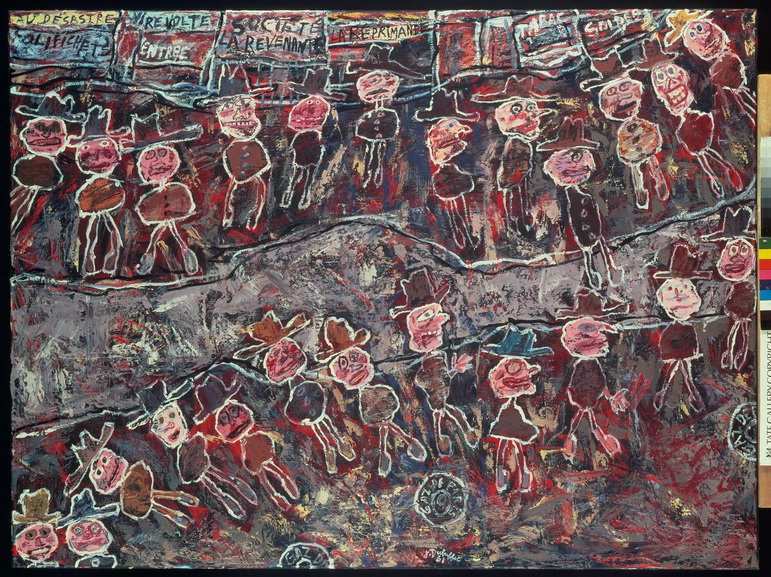 In the late 1940s, Dubuffet along with Jean Paulhan, André Breton, Charles Ratton and Michel Tapié, established the Art Brut movement in Paris, which was focused on the development and promotion of experimental, unconventional and outsider production. 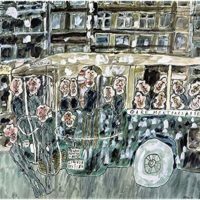 The upcoming exhibition Jean Dubuffet and The City at Hauser & Wirth Gallery in Zurich is going to reveal a specific fascination of this great French artist with the urban spaces. By exposing over 50 works ranging from paintings, through sculpture models to works on paper, Dr. Sophie Berrebi, a Dubuffet specialist and the curator of the exhibition, tends to show how the city of Paris inspired the artist almost through his entire career. The concept of the exhibition certainly is embedded in the modernist paradigm of the wanderer, an outsider figure who walks through the city, surrounds himself with a myriad of emotions and articulates what they have seen. Therefore, the cityscapes of Jean Dubuffet should not be perceived as just mere escapades from everyday life, but more as effects of profound social examination of the buildings, streets, and citizens which inhabit those spaces. On the other hand, it is not any city – it is Paris, an art center and the capital of France which was largely affected by the horrors of the war. It is impossible not to contradict oneself, just as it is impossible to avoid collisions on paths that have only one slope, but one must organize thoughts following the model of the circulation of cars in Tokyo, with lanes that are superimposed onto one another and on which traffic is organized in different directions. The curatorial concept consists of three chronological segments. The first one is titled City Dwellers and Urban Types and it gathers brut depictions of French urban wanderers produced in the period from the 1940s to 1980s where individual figures are followed by pairs, as well as with the crowds. 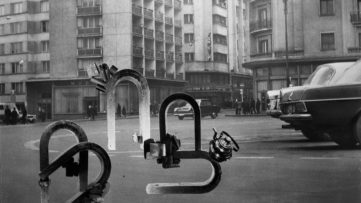 Under the title City, Views and Imaginary Networks is the second segment concentrated around the scenes of the busy Parisian streets at the beginning of the 1960s. These paintings are accompanied by the Théâtres de mémoire series in which Dubuffet through juxtaposed scenes, images of places and moments enhanced the dynamism of the city. The segment called Sites and Architecture is present in both the second and the third segment of the exhibition and features Dubuffet’s extraordinary models for sculptures and utopian architectural structures. Three important works (La Rue (1971 – 1974), Le Cirque (1970), Rues et Immeubles de la Ville (ca. 1969)) which are on a loan from Parisian Foundation Dubuffet reveal the best Jean Dubuffet’s interest in city itself and his consideration of the built environment. These works should contribute to the better understanding of the artist’s vision of the urban space from representation to imagination and from evocation to the construction of an urban imagination. This exciting exhibition will be accompanied by the illustrious publication Dubuffet and the City. People, Place and Urban Space, written by the curator Dr. Sophie Berrebi. The book will show both the examples of Jean Dubuffet art and the changing face of Paris in the mid 20th century. Berrebi analyzes works in which Dubuffet depicts city dwellers, sites and urban spaces, and discusses the artist’s architectural projects from the 1960s and ’70s against the background of heated debates in the field of postwar urbanism. This volume includes full-color reproductions of Dubuffet’s artworks, as well as little-known archival material from the Fondation Dubuffet and several texts by the artist, translated here in English for the first time. 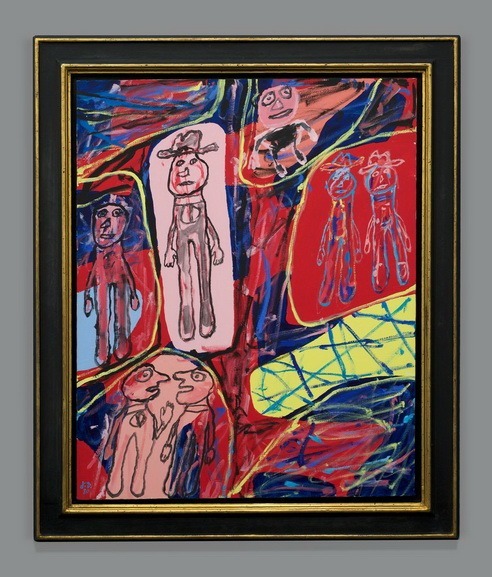 Throughout the years, Jean Dubuffet’s art was interwoven with critical examinations of cultural heritage and inherited traditions; the artist was mostly devoted to the deconstruction of the notion of beauty and splendor and introduction of entirely new and brut aesthetic. Aside from visual arts, Dubuffet expressed his creativity through writing and music but was always focused on transcending the media. Jean Dubuffet and The City will open on 10 June at the Hauser & Wirth in Zurich and will last until 1 September 2018. 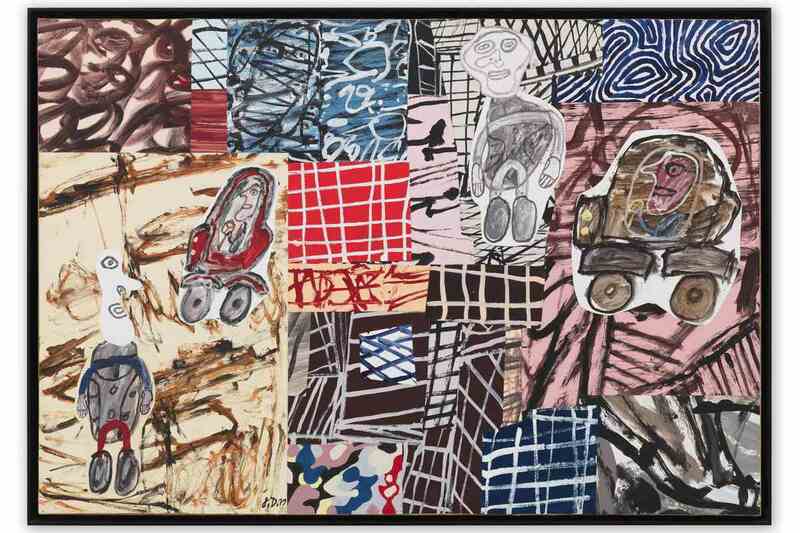 Featured image: Jean Dubuffet – Parages frequentes (Busy Neighbourhood), 1979. Acrylic on paper (with 28 cutout elements) mounted on canvas, 70 x 102 cm / 27 1/2 x 40 1/8 in. Private collection. All images courtesy Hauser & Wirth.